You are here: Home > Blackberry Bold 9900 Touchscreen Delayed Till September? Blackberry Bold 9900 Touchscreen Delayed Till September? According to a story out of BoyGeniusReport the Blackberry 9900 Touchscreen will be arriving a little later than expected as it’s been pushed back to a September launch. The Blackberry 9900 was announced at Blackberry World for a “Summer” launch so we’ll hold off till we hear anything official from RIM. Who really considers September “still summer”? As far as many people are concerned September is the start of fall. Also why would you add a twitter hash tag to a forum? Just saying! Enjoy your weekend…go outside and play now. Somebody just got owned! Haaaaa! Last day of Summer in the U.S. is around September 21. Don’t be such a douche if you are going to spout nonsense. Astronomically, Summer starts with the Summer solstice and ends with the Autumnal equinox. It doesn’t matter what people “consider” anything if they are wrong. Actually it does matter what people “consider”. Most consider summer over when either they or their kids are back in school….so that would be September. Everyone knows that you gotta have the cool new clothes and toys to show off then too….so yeah technically you are correct, but realistically and consumer-wise you are really talking about the “early-holiday” period since that seems to start earlier and earlier each year. The Only Reason They delayed it to the September david is because they know that the iPhone 4S (5) Was also delayed for September they may think this is smart but i think its going to bring down sales for blackberry. everyone knows that the iphone sales alot at release. That’s what you get for listening to store reps.
Blackberry is failing miserably recently and i love RIM. The more competition the better it is for us consumers. With the Playbook having problems, lack of marketing, and delays it is no wonder they continue to lose market share and stock value. I am liking the playbook but it really seems like public perception has turned on RIM at light speed. “lightspeed”? it’s been years of the same old same old.. there is nothing “lightspeed” about the public perception. RIM has continually put antiquated software in 3 year old hardware, and the Public has finally caught on. The Playbook is horrible, it is a rushed attempt to compete with the best of the best and RIM just can’t keep pace. The Bold 9900 would be nice, but unfortunately it too is way too late to the game, and now has, like every other RIM device been pushed back months. The HTC Status, is already taking market share away from there users who want a keyboard/touchscreen device. Delaying a smartphone that is probably already too late? Really? Sorry pimp, but BB will continue on for a while, regardless what some might say. You’ve never owned a blackberry? Exactly. Will continue for a while until X-0. Ive tried a couple older BBs (pearl, Storm). Nothing memerable about them. This newer stuff looks cool and hip but im guessing the DOS-like roots are still thers. Like @none has said, the public view of Blackberry has slipped dramatically. OMG, I got a “shout out” from Pimp! Wow. Pimp, you are a star around these parts lol. Anyway, you are right about what consumers think. 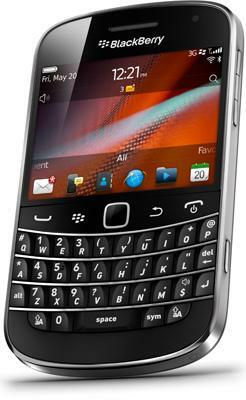 Some feel it has slipped away, I still say companies will continue to use BB’s for work. That’s how they can keep getting paid. A touch screen on a phone, does not make great. Android on a touch screen does. So if they continue to make great devices with nice keyboards on them, they can survive. That’s the name of the game. End of the line for you, RIM! Dumb phones always freezing up, random software re-installment, checker boarding browser… good riddance!